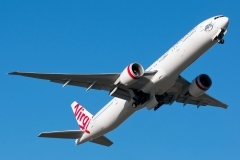 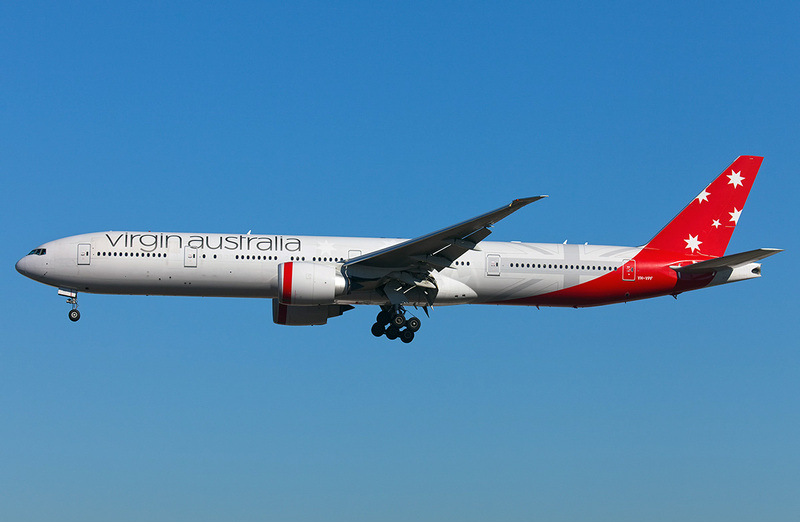 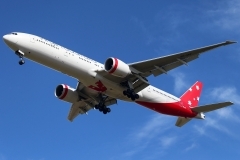 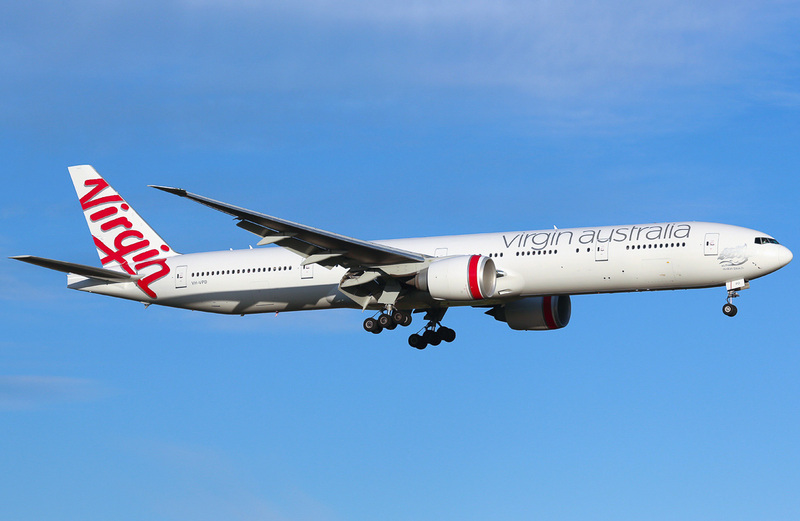 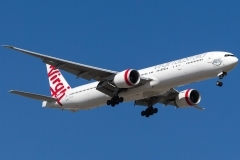 “Virgin Australia” operates 5 aircrafts Boeing 777-300. 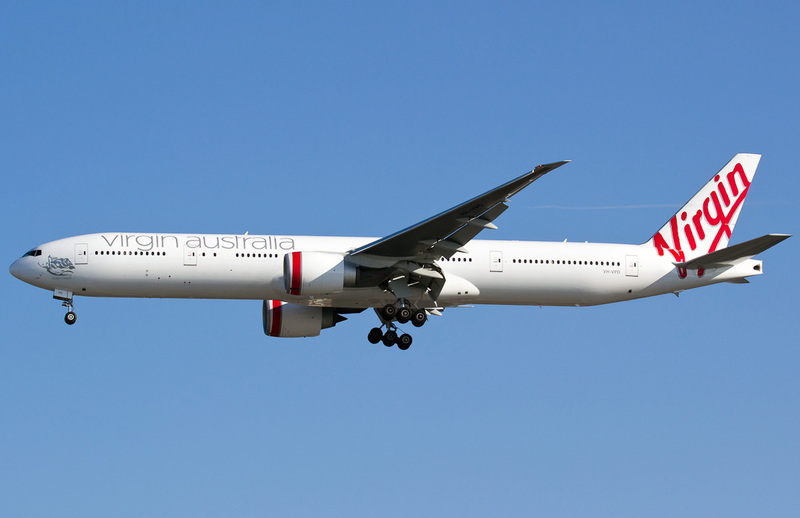 Boeing 777 is family of wide-bodied passenger airplanes for long-haul flights. The airplanes of this family are among the biggest passenger airplanes. Boeing 777 is two-engine turbojet airplane that was fully constructed without paper drafts using only 3D computer graphics. 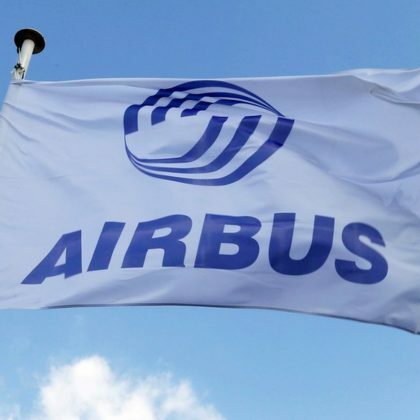 Except Electronic Flight Bag system on the board of Boeing 777-300 was implemented a number of decisions directed to increase passengers’ comfort. 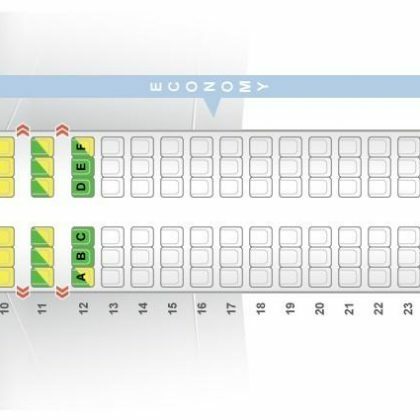 Particularly the cabin of Boeing 777-300 airplane is equipped with video system with displays built-in the seats’ backs but the seats in business class cabin have reclining ergonomic seats.